I conducted a field research on wild chimpanzees of the M group at the Mahale Mountains National Park, Tanzania, from September to November 2012. 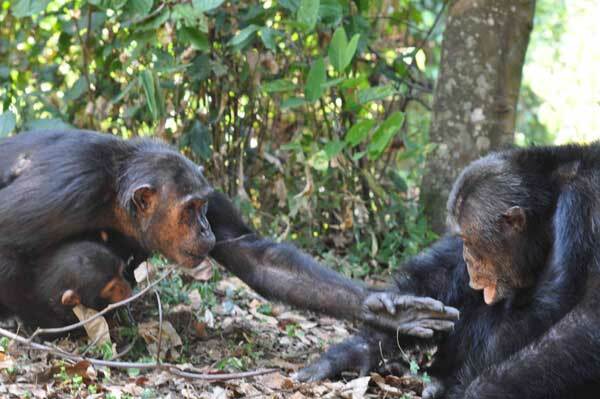 The aim of this study is to collect data on the following so-called 'cultural' behaviors among wild chimpanzees: ant-fishing, a tool-using behavior for feeding on arboreal carpenter ants; pant-grunt, a greeting behavior frequently observed in the situation of encounter; leaf-clipping, a courtship display mainly exhibited by adult and adolescent males. 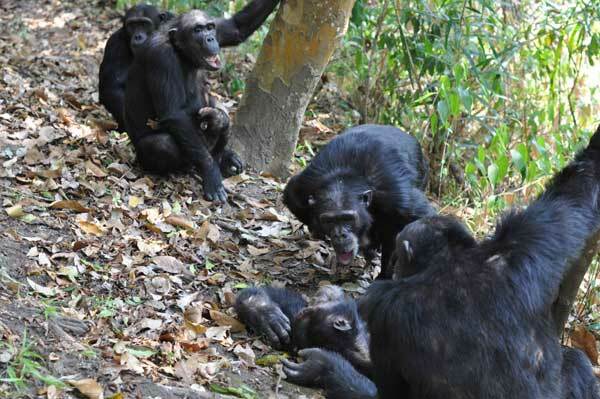 I observed chimpanzees using adlib sampling and focal animal sampling methods and mainly focused on the social interactions among the members of the group. On ant-fishing, I accumulated new basic data such that some host trees of ants which were observed as ant-fishing sites in 2002 are still, ten years later, used as ant-fishing sites by the M group chimpanzees, and that a newly immigrated female was observed to fish for ants skillfully in her first days in the M group. As for pant-grunt and leaf-clipping, I collected detailed behavioral data in the context of social interaction.